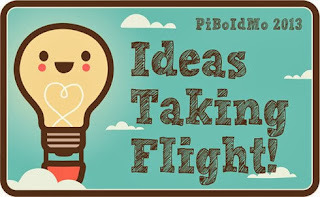 PiBoIdMo, or Picture Book Ideas Month, is picture book authors’ answer to NaNoWriMo, or National Novel Writing Month. PiBoIdMo is the brainchild of Tara Lazar who created it as a 30 day challenge for picture book writers who seemingly miss out on all the fun of NaNoWriMo. The challenge is to create 30 picture book ideas in 30 days. The ideas need not be entire manuscripts, but could include a title, a name of a character, or a silly idea on which to base a picture book. To participate in PiBoIdMo, simply click HEREto find out more. Registration started on October 24, 2013 and is open through the first week of November.